I recently discovered the best gray paint for the walls of my home and I can’t wait to tell you all about it! 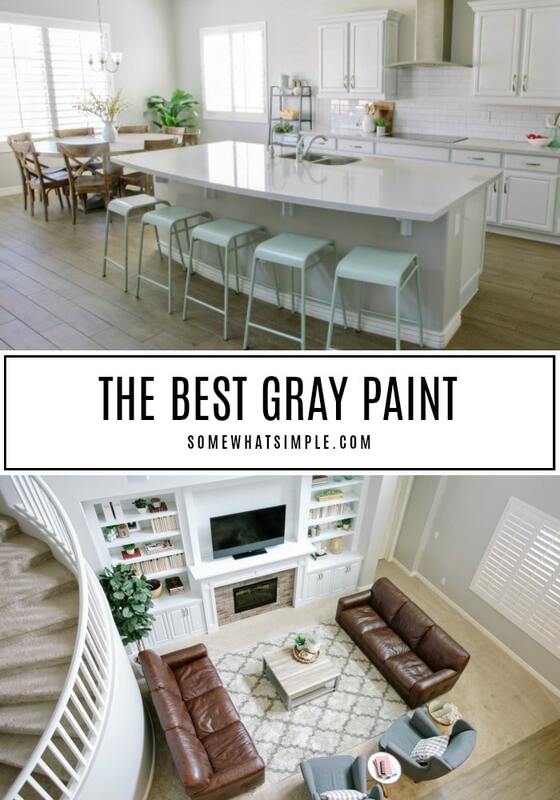 If you’re struggling to find the perfect gray paint without any undertones, this post is for you! I’ll be honest, choosing a gray paint scared me. I’ve heard (and seen) plenty of horror stories of friends who finally decide on a nice neutral gray, only to end up with walls that are too purple. 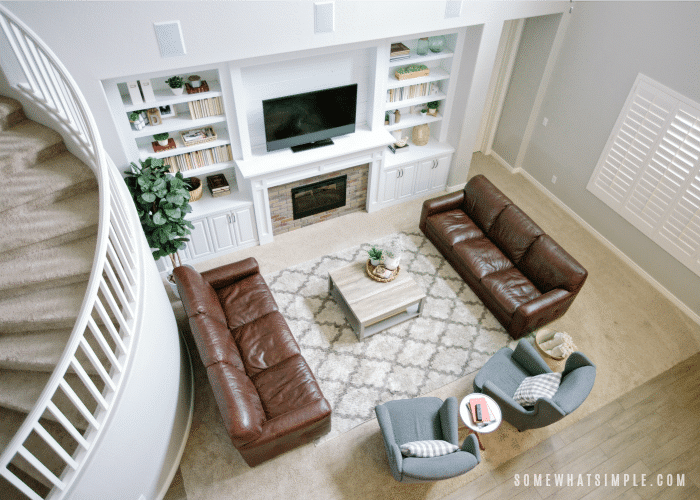 And some of these people chose their color after seeing it and LOVING it in their neighbor’s home – so they thought it was “safe.” But the natural light situation in each home can vary so much, that even the exact same color, finish and brand of paint could look totally different from one house to the next. When I finally decided to tackle the task of choosing a paint color, I walked into the Dunn Edwards paint store and headed straight to the paint chip samples. The nice sales lady must have sensed how OVERWHELMED I was, so she kindly asked if I needed any help. “Ok, here you go” she said, and she handed me this paint chip sample in less than 4 seconds. Me: That looks more beige than I was thinking. Her: It has a beige-look, but it isn’t beige at all on the walls. I think the beige keeps it neutral so you won’t see any blue or purple. I asked her about a couple other gray swatches that caught my eye, but she quickly pointed out the blue or green undertones in the swatch. She warned me to be careful of those ’cause they could potentially pick up colors outside the “true gray” I was going for. This lady knew her stuff, and it was weird how much I trusted her and valued her opinion. Still, I left the store with 3 swatches and 3 small paint samples, just to be safe. You guys. 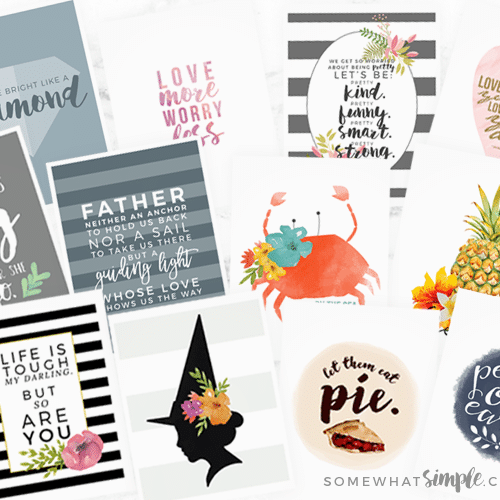 Is it possible to LOVE paint like a member of your family?! ‘Cause that’s kinda how I feel about this paint situation! In fact, the superintendent over the construction of our new neighborhood stopped by after our house was painted and he loved this color SO much! He said he has seen a lot of gray houses lately but this was the nicest color of them all! He told me just last week he ended up painting his entire home this same color and he has recommended it to several new home owners in our neighborhood. My sister bought this color for her rental property. My cousin is painting her entire home Miners Dust this weekend. So stop by your local Dunn Edwards store and pick up a sample. …just try not to treat it any differently than the other members of your family. Disclaimer: I reached out to Dunn Edwards to see if they’d want to partner with me on a product review. They sent me the paint for my home in exchange for this post, but all opinions are 100% my own. Rest assured I wouldn’t promote this product if I didn’t absolutely LOVE it! Good evening. I love your posts. I am actually going through the exact same thing and feelings as you did when you were trying to find the right grey. I recently painted my livingroom with a grey that they said was a true grey but it looks like im surrounded by a mini egg. I read your post and as soon as I saw the Miner’s Dust on your walls I fell in love. Unfortunetly I live in Saskatchewan, Canada and we do not have a Dunn Edwards supplier here. Do you happen to know the paint codes for it? Or maybe Dunn Edwards would be able to help your Canadian readers? Any help you can provide would be appreciated more then you know. Thank you so very much. I love this color on your walls! What finish did you use for this paint? We have textured walls which I hate (this is our starter home and it was built in the 70s) and I don’t want to make the texture stand out more than it needs to. Thank you! Thanks, I love the color too! We used an eggshell finish to make cleaning them easier. 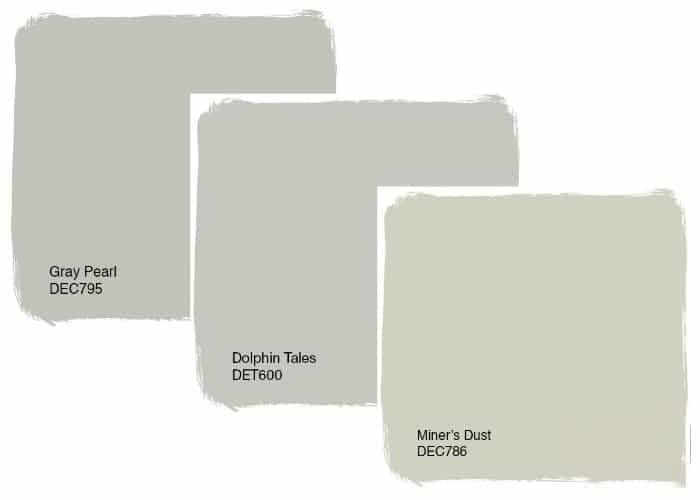 I have this paint on every wall in my house and I have several friends who have used it and it has never appeared to be anything but gray to me. 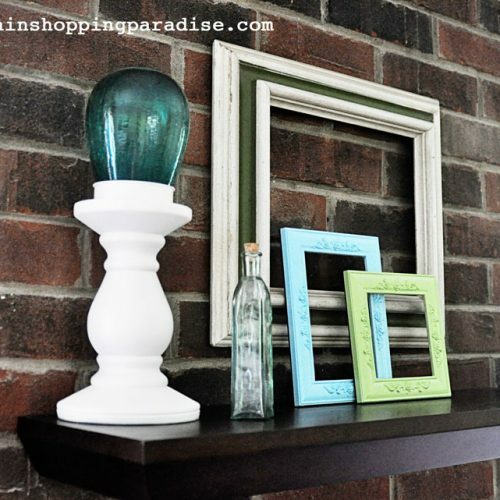 Do you know what white color paint you used for your trim? Or one you recommend? Our trim color was called Swiss coffee. I called Sherwin Williams and Home Depot and they’ve never (nor have I) heard of Dunn Edwards and can’t match this paint color. Where is this located? Without an actual sample in my hand Home Depot can’t match it and this company is not in their system to be able to make the paint. I am intrigued then becUse it does look a litttle tan so I would have stayed away from it, which makes me wonder if my perfect gray is a sample at Home Depot I’ve passed up because it looked more tan than gray? I never gray would be so hard but I have about 10 samples on my wall and hate all of them. Lol! Is it possible this will still look as good with darker grey trim and grey flooring, or does it look best with tan floors / white trim? 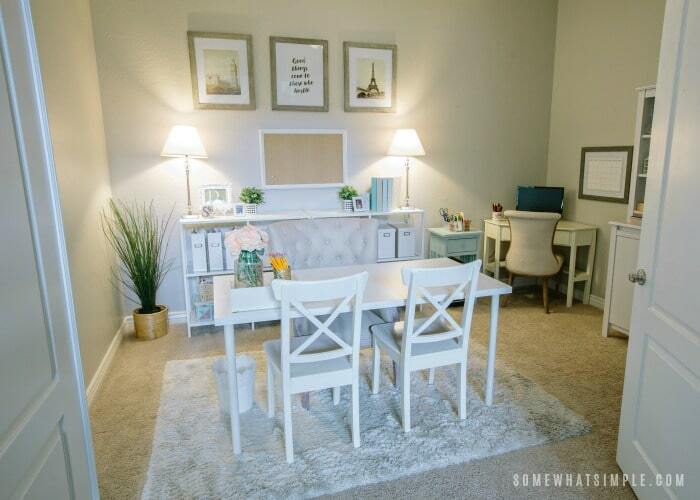 I haven’t seen it against a dark gray trim, but I have seen it against light gray floors and it looks amazing! Does anyone have experience using Dunn Edwards Reclaimed Wood DET625? I have samples of it as well as Miner’s Dust on my walls right now trying to decided which looks best with my furniture and in the various light patterns in my home. Would this look good on kitchen cabinets? I haven’t personally seen this color on anything but walls, so I can’t be certain – but gray cabinets are very popular right now, and this color could be a great option! Wow!! I’m so glad I googled this question and found this.I will have to have another paint store mix it for me but can’t wait to try it!! I’ve been trying to find a true gray for months!!!! It is nice for people who are looking for a non blue gray, and it certainly does look beige on the swatch so you give a great primer. That being said, I ask ya , is there anybody on the planet that ISNT painting Gray? It is pretty and neutral, but just a tad done to death at this point I think. My other observation is that with climate change we are getting more than our usual share of gray weather. Enough already. Can you make any alternate color suggestions? I think there are a TON of people painting various shades of white right now, and printed wall paper is definitely back in style too. It doesn’t have to be gray, but it sure is pretty! We do not have a Dunn Edwards paint store in Iowa, how can I get the formula for Miners Dust? I have been looking for the perfect gray and after reading your review I decided to give it a try since my painter only uses Dunn & Edwards. I went into the store and said like you I was looking for a perfect gray and within 3 seconds he said Miners Dust. Well I was skeptical because it does look beige on the paint chip card but I decided to give it a go. I put a splotch on every room that was being painted and WOW it looked beautiful. I paired accent walls with Looking Glass and it is spectacular!! Your advice was spot on. Glad I found you. I’m so glad you love it Laura!!! Your house looks lovely in Miner’s Dust! So much that I went out and got a sample. While I was there another lady was having a sample made of the same color! The DE guy said in over 20 years he had never had two people ask for the same color sample back to back. I told him he better buy a lottery ticket! I put 2 coats of Miner’s Dust on foam board. I like it, but it is definitely GREIGE and not as cool a gray as I am looking for to keep our Phoenix condo feeling cool. So I will be testing DE Cloud DEC791 next, it is listed as another Cool Neutral like Miner’s Dust. Here is the difference and why Miner’s Dust looks beigey gray, it is a yellow HUE whereas Cloud is a Green/Yellow HUE. Also, Cloud is lighter and might reflect more light in a small condo. Thank you for sharing this amazing color of Miner’s Dust. It is beautiful and maybe one day I can use it somewhere else. Love the color! 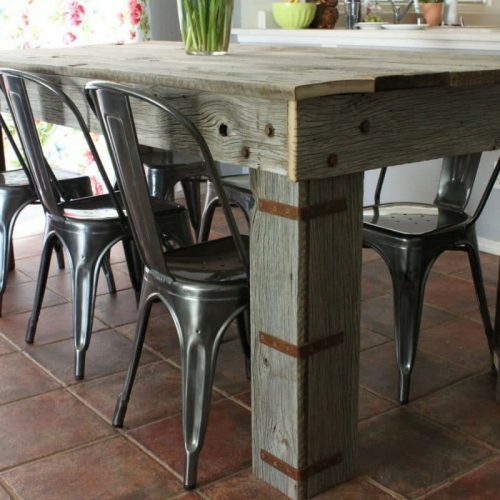 Do you think it would work with beige and brown travertine tile? 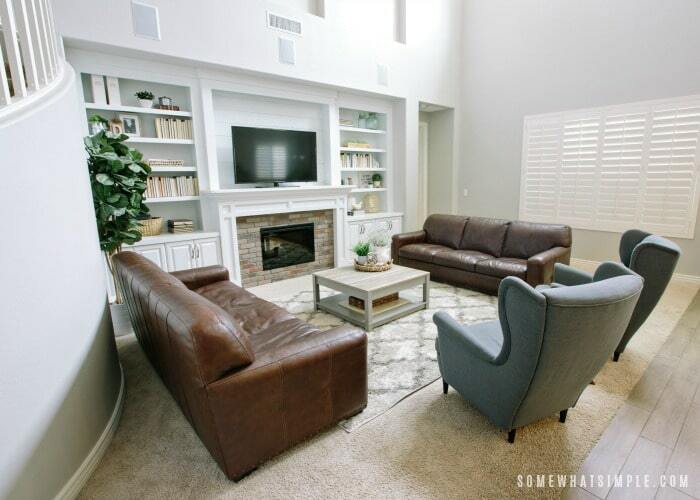 I haven’t seen it with travertine, but we have light brown floors and it looks great! My cousin has it in her home and her cabinets are a light brown and the walls compliment it nicely. 🙂 Good luck! Hi. It’s a beautiful colour. Your home looks gorgeous! I’m so glad I found this post as we are getting our place painted. 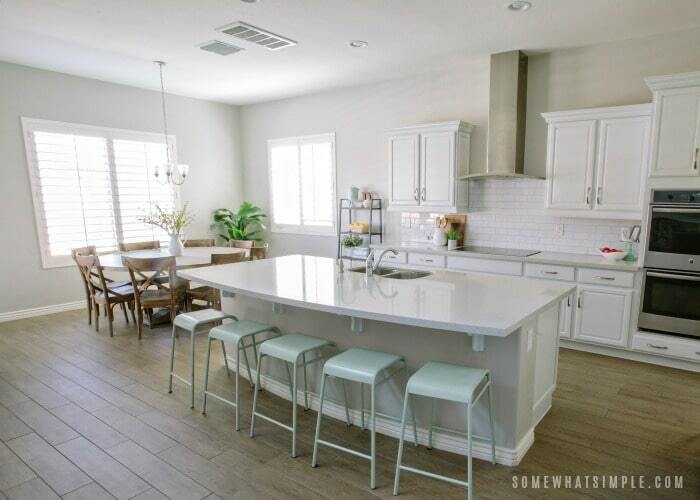 What color would you suggest if the floors are white & doors & windows are walnut wood finish? Thanks for the compliment, and thanks for stopping by! I can’t say for sure how this color would look with those exact colors all together, but my cousin has Walnut cupboards in her kitchen and the gray next to the walnut looks amazing!!! Hi Stephanie your home looks beautiful and I too love Miners Dust can you please tell me what sheen you used in your living room? I am so glad I found this post!! I was looking for a gray for my bathroom but kept thinking they looked to blue or purple. Just finished painting my bathroom and I am in love with it!!! I could seriously paint my whole house in this too!!! Thanks so much!! When you sampled the miners dust did it look darker? I’m sampling a few right now and the miners dust looks rather dark, maybe it’s lighting ? It looks so perfect in your photos . Even in my darkest room (the laundry room) it still isn’t dark at all for me. I know natural lighting varies from house to house, but I wouldn’t describe this paint as dark gray at all. When we’ve used it to touch up spots on our walls, it is definitely darker while it dries. I always have to remind myself not to freak out that it doesn’t seem to match right away, but once dry it looks totally normal again! Sorry I am not much help! ? thanks so much that does help a lot !! I just tested miners gray and shady on my wall from dunn Edwards My husband thinks it’s too dark..looks darker than what is in your photos is it because I only did a small square of paint? It’s a gorgeous color in your house! May I ask what color the trim is? We’re picking out colors for our house this week and I’m both excited and nervous! Thank you! Thanks Marie! Our trim is “Swiss Coffee”. We’ve been in our house 8 months now and I still have no regrets on the color – I love it as much as I did the day we painted! And it still gets a ton of compliments – you cannot go wrong with this one! Good luck picking paint colors – paint is SOOOOOO hard!!!!!! I am a Color Consultant for Dunn Edwards Paints in Arizona. I totally agree with you on Miner’s Dust being an awesome color. My first question when folks come in looking for a “gray” especially in a remodel is “what color is your floor”. If it is any shade of brown or tan I always hand them a miner’s dust chip as one of my top picks, when paired with browns it always looks grayer than it does in the store. You said your designer took about 4 seconds to pick it out at the store you visited, I believe it with gray as popular as it is right now I get the same question at least 2 or 3 times a day. The picks of your house look amazing, hopefully your children will learn to live with being second best. Thanks for your comment! It is always nice hearing advice straight from the expert! 🙂 Have a great weekend! What if your floors are dark grey wood floor? 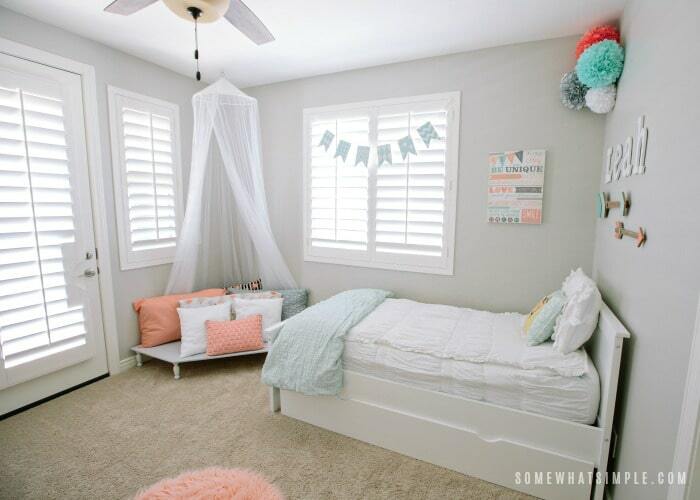 My cousin has grey floors and this paint on her walls and it looks great! I’m not sure how dark your floors are in comparison to hers, but her home looks great! 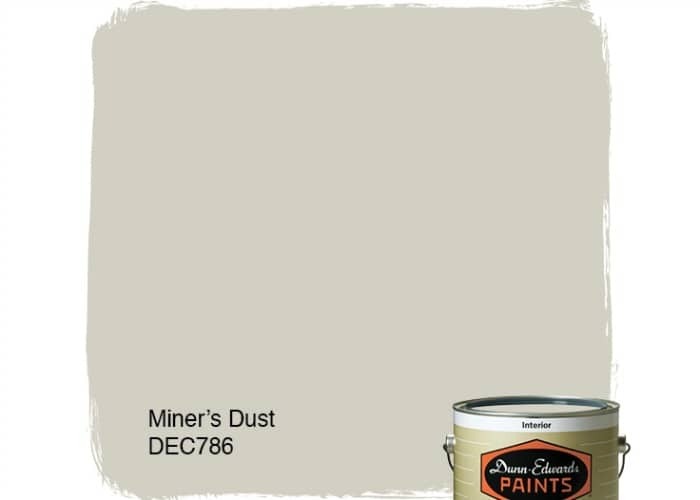 I’ve seen Dunn-Edwards Paints DEC 786 Miner’s Dust used on numerous interior ‘Gray’ projects; Great choice Stephanie! Thanks Peter! This color is perfection!!! 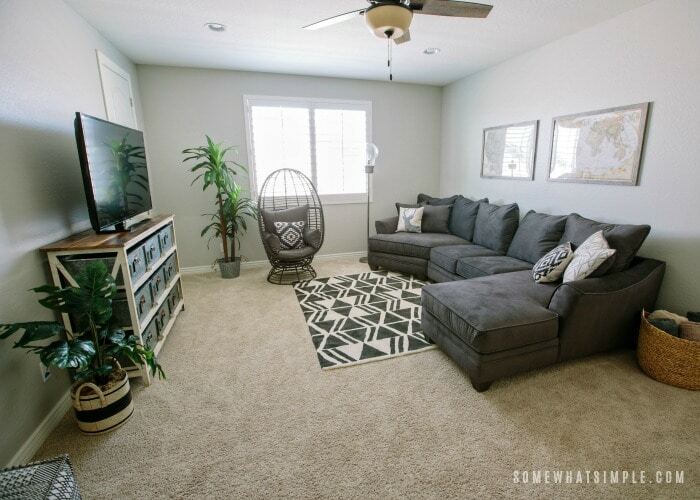 This gray paint has totally redefined the space and made home look amazing. Totally loved this gray shade of color. Thanks John! I’m glad you like it!